Description: Meet PAXTON! Paxton found himself in dire circumstances; he was picked up as a stray & taken to a crowded animal control facility in southeast Missouri. He sat there waiting for someone to come for him for 6 long, agonizing months. He began to lose hope and the light faded from his eyes. His time was up & if not rescued, he would be killed. Dolly's Legacy came to his rescue, knowing that this beautiful boy could get the light back in his eyes, and that we would give him the hope he so desperately needed. Paxton was rescued from the shelter and has blossomed in his foster home. He now runs & plays, smiles & cuddles, loves & is loved. 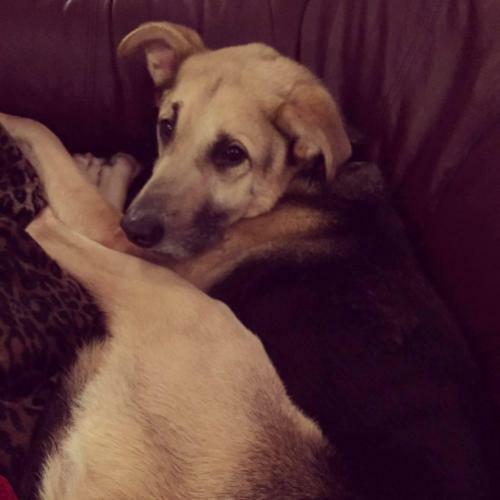 Not only did Dolly's Legacy save him from being killed at the shelter, but we are providing life-saving treatment for Paxton to cure him of heartworm disease. Once completed in February 2016, he will be ready for a new chapter in his life by finding a family of his own. 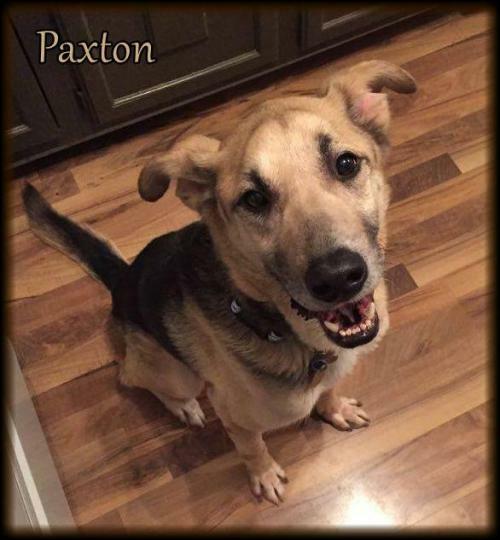 Paxton is approximately 1 yr old, weighs 55 lbs (and continuing to put on some much-needed weight), and is a German Shepherd. He is being fostered with two large breed dogs and he absolutely adores them. 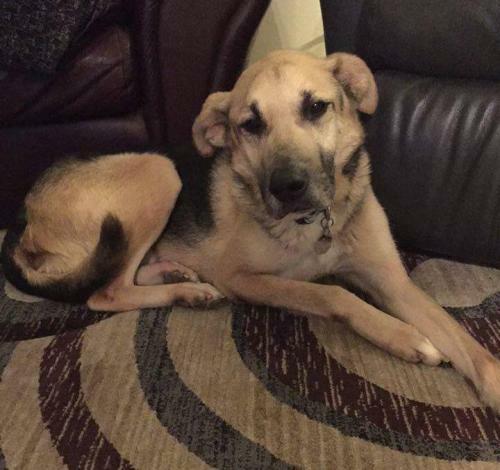 Paxton is neutered, vaccinated, microchipped, given flea/tick preventative & dewormed. He is also undergoing heartworm treatment and will need to remain on Heartguard/heartworm prevention for the rest of his life. Adoption fee is $300 . For adoption guidelines and to submit an application, please go to this link: http://dollyslegacyanimalrescue.org/adopt/ We are a foster-home based rescue group and do not have a facility. The first step is to have you complete our online adoption application. All adoption appointments are scheduled after your application has been approved. We are 100% volunteers & will generally reply within 3 days of application submission. PLEASE be sure to answer all questions completely or it will delay processing, be sure to include vet phone#. If you have any questions please email DollysLegacy@aol.com. Please 'LIKE' our facebook page to learn more about our rescue, see more pictures & get updates on all our adoptable pets!